While the month of March is nearly over (I know! ), the Spring has just begun. A new month and a new edition of my first impressions on this month’s Love Lula Beauty Box is thus in order. This month’s Love Lula Beauty Box is a quite impressive one, containing 4 full-sized products and a stack of sample sachets. Of the 5 brands represented in this Beauty Box, only one brand is a new one for me, whereas the remaining 4 are brands I’ve been using for many years now and am a fan of them. As always, the actual value of the Love Lula Beauty Boxes far exceeds the paid price; with this month’s total value being a whooping £70,00! 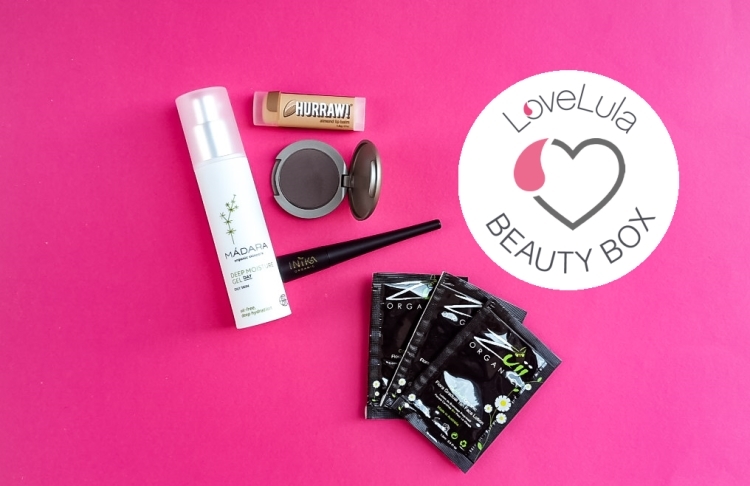 So, what’s in this month’s Love Lula Beauty Box? ♥ Hurraw! Lip Balm (4,3g/£4,99). Second time in a row there’s a lip balm in my Love Lula Beauty Box? Yes, please. The lip balm being from one of my all time favorite lip balm brands Hurraw!? Double yes please! The Hurraw! lip balm that I got is the almond one: a delicately but lastingly scented, smooth, nourishing, soft, moisturising. What else can I say about Hurraw! lip balms other than – I like them, a lot and have been for many many years now! I’ve reviewed a stack of them two years ago, so go ahead and have a read of my thorough review on these great lip balms + a shorter review of another Hurraw! lip balm from my Love Lula Beauty Box from a couple of years ago! ♥ Madara Deep Moisture Fluid (50ml/£28,00). I do not mind Madara being quite often represented in Love Lula Beauty Boxes; I’ve tried so many Madara products and yet – there are so many that I have on my wishlist, so getting a Madara product I haven’t previously tried? What’s not to like? This one is a moisturizer of a clear gel texture and there’s a generous – 50ml – amount of it. With warmer and warmer weather (yes! ), I’m planning on switching to lighter moisturizers, fluids, especially to be used under makeup. And – here comes a Madara fluid. It absorbs quite quickly, though for a bit while, there’s a bit of a sticky feeling – but it goes away. 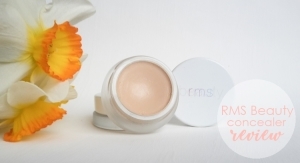 This one will be perfect as a primer in hotter days under mineral powder foundation, indeed. This fluid, with most of the ingredients, targets oily and combination skin – but then makes a bit of a wrong turn with the alcohol, which is drying, and oily skin reacts by producing even more oil; I’d gone on a small rant against alcohol used in Madara products a while ago. There’s another ingredient which I am not a fan of: propanediol. All in all, based on my limited testing time, it works nicely under liquid foundation and has a bit of a cooling effect immediately upon application – but upon a regular use of this Madara fluid, I will post a full and detailed review in the near future. ♥ Inika Liquid Eyeliner (3,5ml/£19,00). And again, seeing Inika in my Love Lula Beauty Box – another treat, indeed! 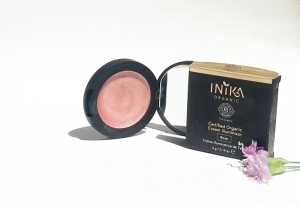 I posted quite a few Inika reviews so far and many more are coming soon, so you know I really like this Australian brand. While I do not wear a liquid eyeliner on a daily basis, it’s good to have one in a makeup purse, wouldn’t you agree? And this one, the Inika Liquid Eyeliner is of a high quality and high performance, no doubt about it. It’s wet and pigmented enough to achieve a pretty line with one layer (additional layer will make the line even richer), but not too wet where the line is too harsh or shaky. Speaking of shaky – the brush of this liquid eyeliner is also of a high quality: thin enough but not too thin and very stable and sturdy, which will come handy, pun intended, for all of us, who approach drawing a line with a liquid eyeliner with a bit of a shaky hand. This eyeliner also stays on for a better part of the day, though its finish is not glossy. If you ask me – great under an eyeshadow for a “smooth around the edges” look. Yep, even though I’ve already sung all the praises to this liquid eyeliner right here, I will post a review of it in the future. Oh, and the price is quite reasonable as well. ♥ Sarya Couture Makeup Organic Eyeshadow (3,5g/£17,80). 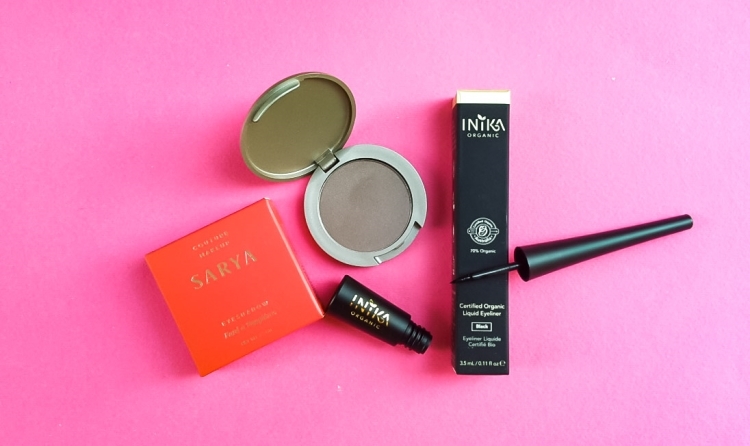 Sarya Couture Makeup is a brand new – brand – to me; it was recently launched at Love Lula and we immediately got a one of their products to try. When I sneaked and peaked around to see what’s in this month’s Love Lula Beauty Box and saw an eye shadow, I thought: cool! I saw a few brownish eye shadow colors and I think one blue? I though I hope I don’t get the blue one. ; is there anything worse when it comes to eye shadows than a blue one? I digress. Luckily, I got the “Mocha” one, which is right up my alley: a mixture of medium gray and mauve-brown. The ingredients of this eye shadow are also a quite unique and interesting mixture, gotta say, with oils such as squalene, avocado and macadamia and shea butter. The texture of this eye shadow is very smooth and silky and there’s basically no fall-out. But holy moly! – is this eye shadow pigmented! I’m still testing and trying this eye shadow, as it’s quite tricky: there’s not much room when grabbing this eye shadow as it’s quickly too much and forgetting to tap the brush before you apply it! You gotta start with a very gentle application, just a bit of an eye shadow for the first layer and even that one will be colorful enough. A primer is most certainly a must. There’s a bit of a trouble with easy blending, but eventually, I’ll find the best trick to squeeze the best out of this super pigmented eye shadow. Will keep you posted – either in my next makeup routine post or maybe a full review. The price is a bit too steep for my liking, though. ♥ Zuii Organic Sample Set contains tanning products: tan face and body lotion and luminising creme. Zuii Organic launched at Love Lula not too long ago; I’ve already tried a few of their products a while ago. Now, tanning I do not, but since Summer is almost around the corner, I am sure many of you will want to test these Zuii tanning products to see which one suits you. Given how many great makeup products this Australian green beauty brand has, I wonder if or when Love Lula will stock up with them? I am sure they would be a hit with the fans of green makeup. This completes my first impressions of March Love Lula Beauty Box: it’s a great one for me, with many of my favorite green beauty brands + a discovery of one new brand to me, split between 2 makeup and 2 skincare products – all them them full-sized and a pack of tanning samples. Thumbs up, Love Lula, for throwing these goodies in my Love Lula Beauty Box while you were walking around your warehouse! The value of all these goodies is, as mentioned above, a whooping £70. Why whooping? Because the actual cost when you subscribe to receiving Love Lula Beauty Box every month is £12,66 (or £16,60 for international customers) per month (yep, even less than it was before). You also get a discount on all the brands featured in a current Beauty Box and even this discount got even better – now you can get all the brands featured in a Beauty Box for 25% off! Don’t believe me? Visit Love Lula and see for yourself! 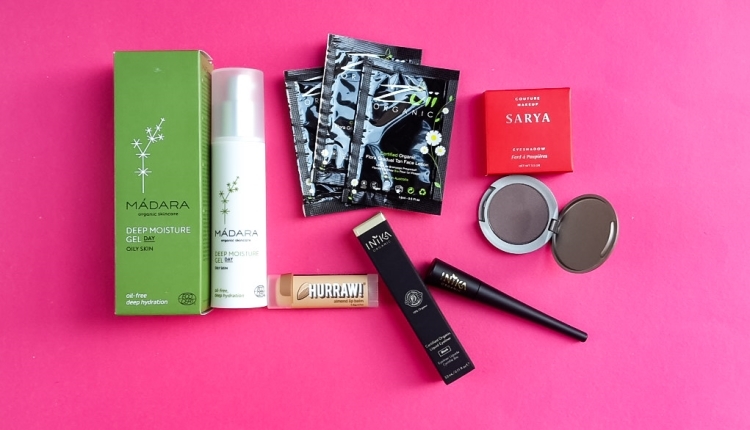 How did you like this month’s Love Lula Beauty Box? Got any products you’ve had on your wishlist? Found any new brands or new favorite products? Let me know!